Pressure is mounting from outside. CNRP leaders are divided into teams to brief rank and files on its strategy to bring change and to stop this travesty of justice. Unanimously adopted by the European Parliament on November 26, 2015 with standing ovation for Sam Rainsy present in the public gallery. MP, Eng Chhay Ieng strongly questions the legality of the arrest warrant against Mr. Sam Rainsy. He raised all these questions this morning at the meeting of the National Assembly Permanent Committee which had the stripping of Mr. Sam Rainsy’s immunity on its agenda. 1/ the 13/11/15 arrest warrant is based on the decision of the Court of Appeals in March 2013. Question: Mr. Sam Rainsy returned to Cambodia after a royal pardon on 19/07/13 and exercise his political rights since then. Why the Courts did not take action during the past two years? 2/ NEC cleared for and accepted the candidacy of Mr. Sam Rainsy as MP. The President of the National Assembly officially proclaimed the legality of the candidacy and the proclamation was posted to the for objection on 28/07/14. Question: why did the Courts not take action then? 3/ Mr. Sam Rainsy took oath under the Royal presence of His Majesty the King on 05/08/14. Question: why did the Courts not take action? 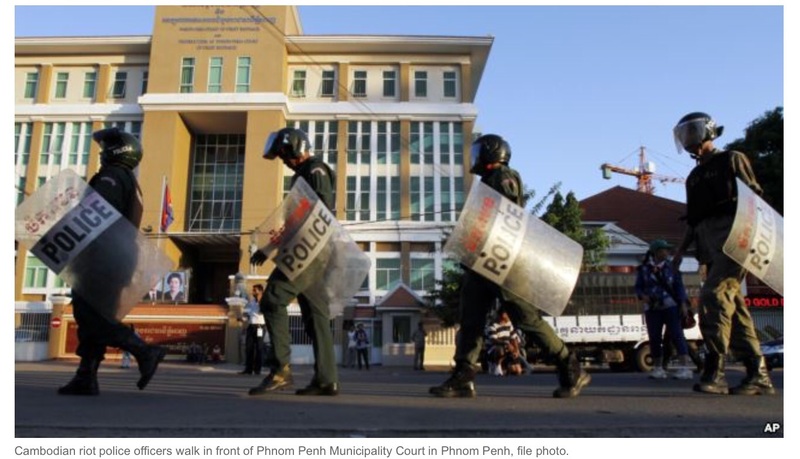 The Phnom Penh Municipality Court issued an Arrest Warrant against CAmbodia’s Opposition Leader, Sam Rainsy. Political tensions in the past few days have reached the highest point after Sam Rainsy compared the election in Burma to Cambodia. What is Cambodia’s PM worried about if he is so certain his party will win in 2018 election? -Having seen Request to Implement Official Judgment dated 13 November 2015 by Mr. Ka Savuth, attorney representing HE Hor Namhong. 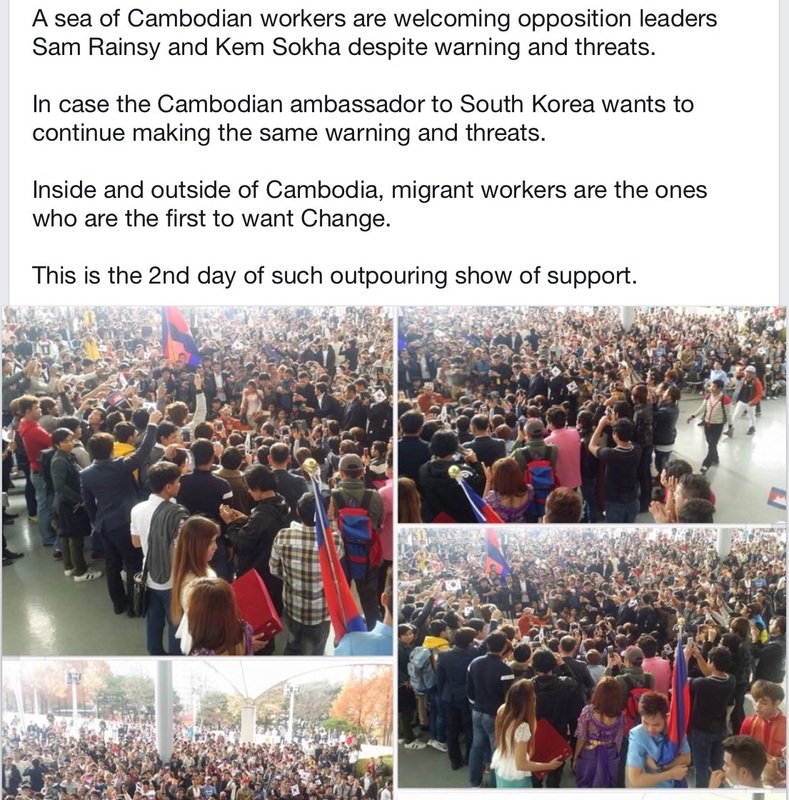 Shall be charged with: Public Defamation and Incitement Resulting in Discrimination, which occurred at Choeung Ek Museum [address Phnom Penh] on 17 April 2008, in accordance with Articles 494 and 496 of the Criminal Code. -as a matter of authority, the abovementioned verdicts and official judgment will now be implemented. 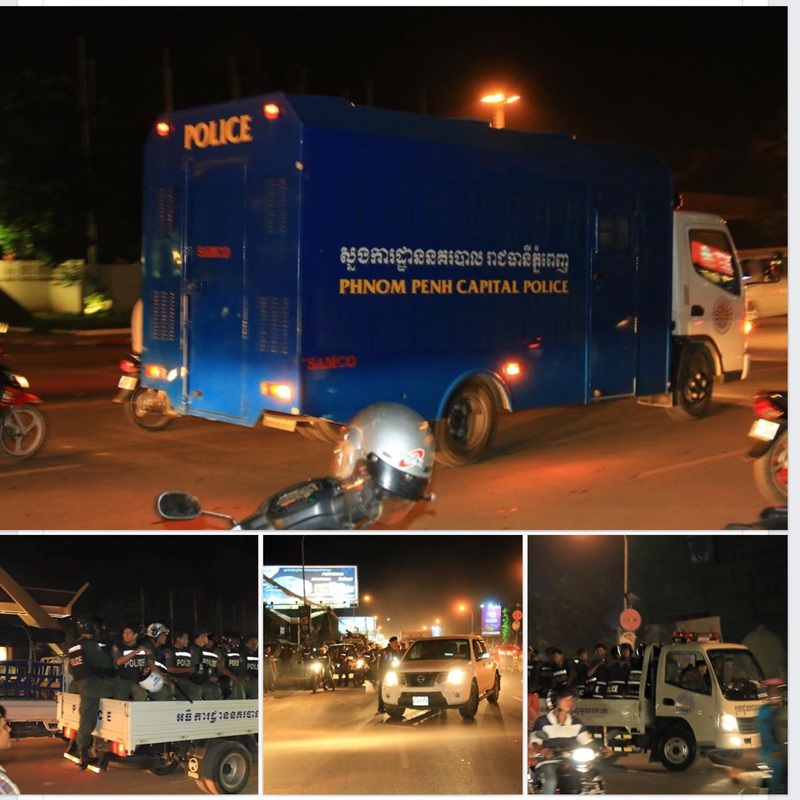 – The PPMC has sentenced the named Sam Rainsy to two (2) years in prison and fined 8 million riels; and the Appeals Court has discharged this case from its caseload in accordance with the official judgment No. 17 dated 12 March 2013. However, the named Sam Rainsy has yet to serve his sentence. 3. All agents of public armed services shall cooperate effectively.